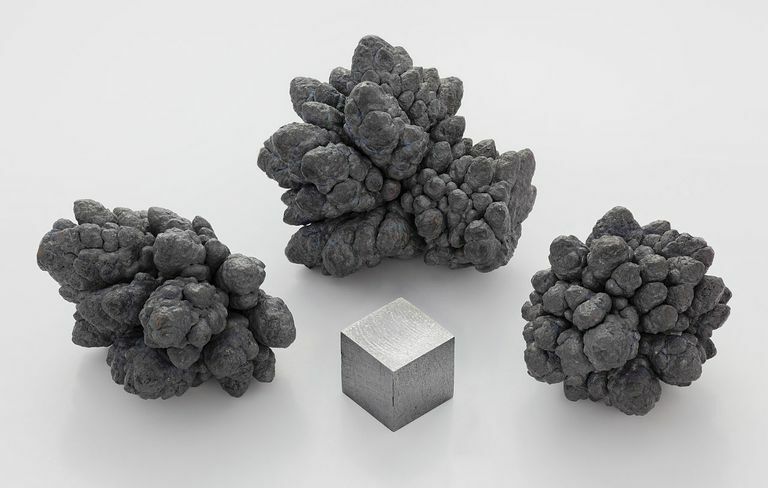 Lead is a heavy metallic element, commonly encountered in radiation shielding and soft alloys. Here's a collection of interesting facts about lead, including about its properties, uses, and sources. Lead is a relatively abundant element because it the endpoint of the decay schemes of many radioactive elements with higher atomic numbers. Because it's fairly easy to extract (for a metal), lead has been used since prehistoric time. Lead was readily available to common people in the Roman Empire, finding use in dishes, plumbing, coins, and statues. People used it for everyday items for thousands of years, until if was finally found to be poisonous toward the end of the 19th century. Tetraethyl lead was added to gasoline to reduce engine knock in the 1920s. Even when it was invented, it was known to be poisonous. Several factory workers died from lead exposure. However, leaded gas wasn't phased out until the 1970s or banned for use in road vehicles until 1996. The metal is still used in car batteries, for making leaded glass, and for radiation shielding. Worldwide production and use of the metal continues to increase. Lead is a post-transition metal. It's not as reactive as many other metals, except in powdered state. It displays weak metallic character, often forming covalent bonds with other elements. The element readily bonds to itself, forming rings, chains, and polyhedrons. Unlike most metals, lead is soft, dull, and not very good at conducting electricity. Powdered lead burns with a blue-white flame. The powdered metal is pyrophoric. Pencil lead is actually the graphite form of carbon, but lead metal is soft enough to leave a mark. Lead was used as an early writing instrument. Lead compounds taste sweet. Lead acetate has been called "sugar of lead" and was used as a sweetener in the past. In the past, it was difficult for people to tell tin and lead apart. They were thought to be two forms of the same substance. Lead was called "plumbum nigrum" (black lead) while tin was called "plumbum candidum" (bright lead). Discovery: Known to the ancients, with a history dating back at least 7000 years. Mentioned in the book of Exodus. Name Origin: Anglo-Saxon: lead; symbol from Latin: plumbum. Properties: Lead is an extremely soft, highly malleable and ductile, poor electrical conductor, resistant to corrosion, blue-white shiny metal that tarnishes to dull gray in air. Lead is the only metal in which there is zero Thomson effect. Lead is a cumulative poison. Isotopes: Natural lead is a mixture of four stable isotopes: 204Pb (1.48%), 206Pb (23.6%), 207Pb (22.6%), and 208Pb (52.3%). Twenty-seven other isotopes are known, all radioactive. Uses: Lead is used as a sound absorber, x radiation shield, and to absorb vibrations. It is used in fishing weights, to coat the wicks of some candles, as a coolant (molten lead), as ballast, and for electrodes. Lead compounds are used in paints, insecticides, and storage batteries. The oxide is used to make leaded 'crystal' and flint glass. Alloys are used as solder, pewter, type metal, bullets, shot, antifriction lubricants, and plumbing. Sources: Lead exists in its native form, though it is rare. Lead may be obtained from galena (PbS) by a roasting process. Other common lead minerals include anglesite, cerussite, and minim. Other Facts: Alchemists believed lead to be the oldest metal. It was associated with the planet Saturn.